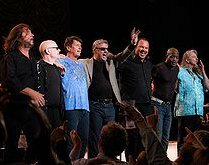 The Steve Miller Band is scheduled to perform in concert at Universal Studios Florida Mardi Gras in Orlando on on Saturday, February 16, 2013. Click here for more information about Universal’s Mardi Gras annual event. This entry was posted in Concert and tagged February, Mardi Gras, Rock, Universal on January 10, 2013 by Orlando Concert Guide Staff.